AUGUSTA, Maine — In what is perhaps his last chance to shape the Maine Public Utilities Commission, Gov. Paul LePage on Wednesday nominated a paper company manager to the energy regulatory board with which the governor has sparred this year. LePage told legislative leaders Wednesday he was nominating Sappi energy manager Randy Davis of Smithfield for the open seat on the three-member commission. “His expertise in energy management for a major manufacturing facility in one of Maine’s most vital industries will bring an important perspective to the discussion,” LePage said in a statement. The nomination is subject to approval from the Maine Senate after a confirmation hearing in the Legislature’s energy committee. Davis will fill the seat left vacant by Carlisle McLean, a former chief lawyer for LePage who resigned from the commission in June and participated in her final deliberations in late May. 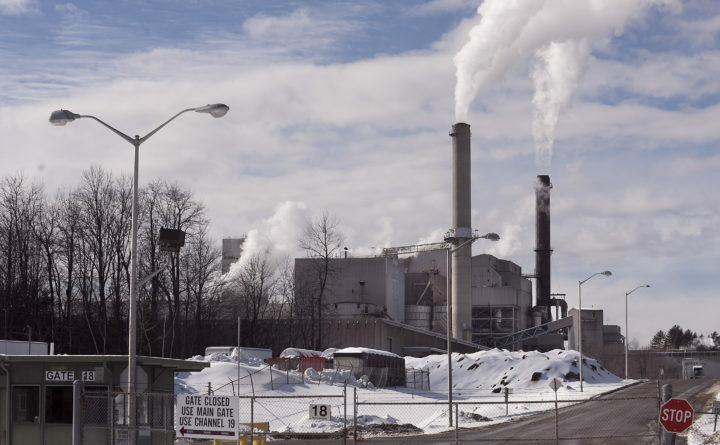 Davis has worked at Sappi’s Skowhegan pulp and paper mill since 1978, according to his LinkedIn profile. The company that is based in South Africa operates another mill in Westbrook and announced plans earlier this year to invest $165 million into its Skowhegan operation. Tony Buxton, a lobbyist for the Industrial Energy Consumer Group that includes Sappi, praised the nomination and said Davis would lend the commission expertise as a large-scale power consumer. He said that’s especially important heading into a case that stands to redesign Central Maine Power Co. to use smart meters to price power differently based on the time of day and other factors, rather than assessing a flat rate. He’ll bring an industry voice to the commission, whose chairman Mark Vannoy is an engineer whose term expires after LePage leaves office in 2019. The other commissioner, Bruce Williamson, is an economist who is on the board until 2021. Both are LePage appointees, as was McLean. But that didn’t stop LePage from fighting with the body. In February, the Republican governor urged all three commissioners to resign over their January decision to roll back — but not eliminate — a policy that allows Maine homeowners with solar panels to be credited by utilities for power sold back to the grid. Buxton said the LePage administration specifically sought an appointee with experience in the forest products industry. The IECG initially provided a list of executives in the paper industry that did not include Davis, Buxton said. After hearing of the ongoing search, Buxton said, Davis contacted LePage’s office looking for a late-career change. Maine Focus writer Darren Fishell contributed to this report.